These sculptural/ garments were exhibited at Gallery Central in the opening exhibition for The Perth Fashion Festival – Fashioning Forms:the Craft of making. This show was curated by Anne Farren. 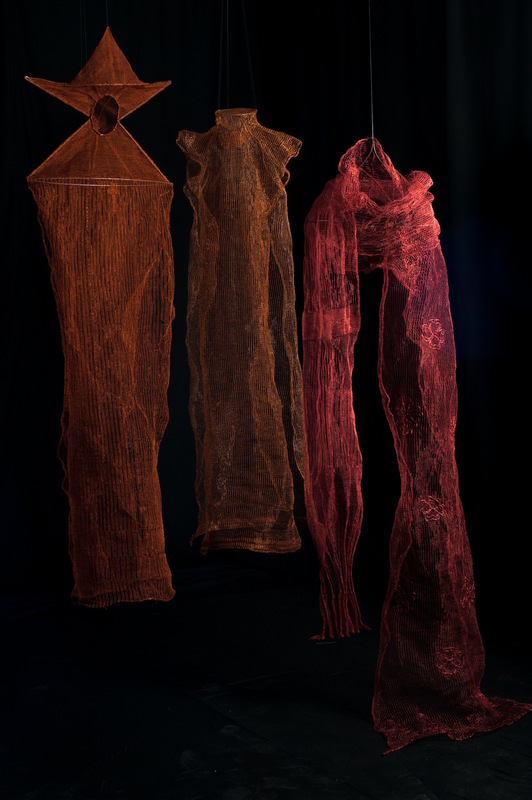 My work is created from copper wire knitted into fabric lengths and then formed into garments/ sculptural forms.